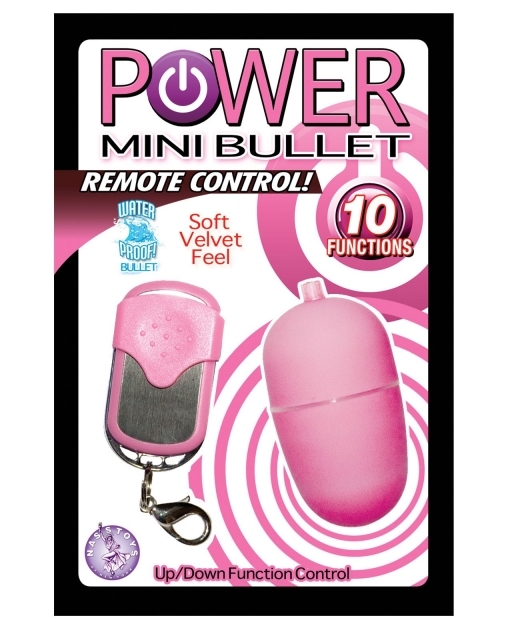 From Nasstoys comes the Power Mini Bullet Remote Control. This min bullet features 10 pleasurable functions with an up/down function control. Also the bullet is wireless and waterproof so use in the shower or bath. Phthalates free, RoHS compliant. Made of ABS and PU coating. 2 1.5V "N" -bullet, 2 27A, 12V-remote included. Length: 2.25", diameter-4.375".